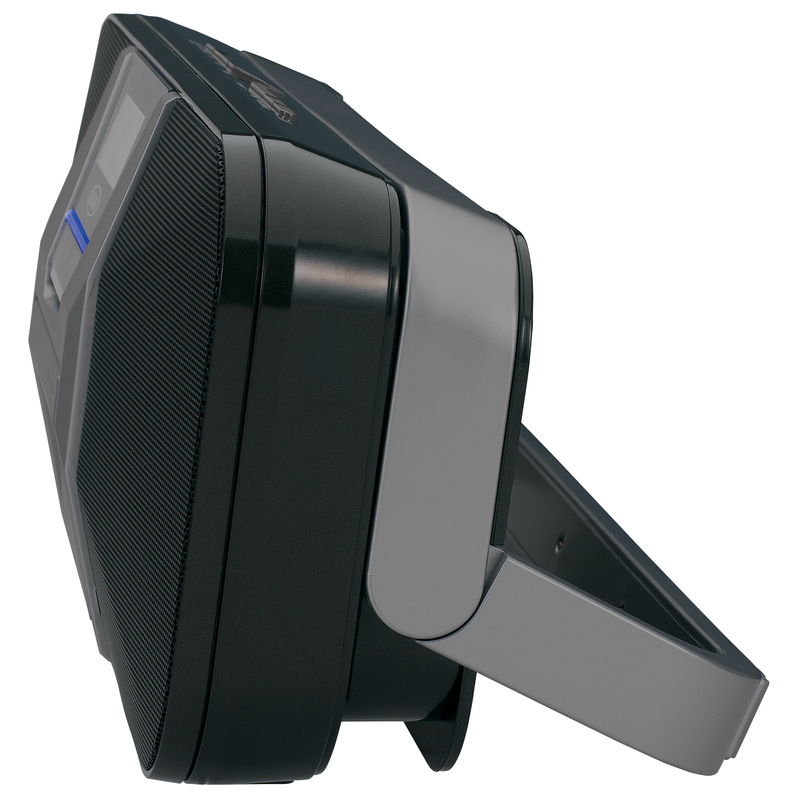 The JENSEN® JBD-400 is a great, portable, multi-purpose Bluetooth® speaker. The unit features a built-in rechargeable battery, so it's great for parties, road trips, beach excursions, or any other life adventures. 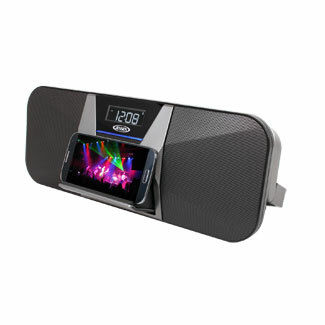 Connect your smartphone or iPod® via Bluetooth and wirelessly stream music or any other audio content to the speakers from up to 33 feet away. The JBD-400 also features an auxiliary input jack for non-Bluetooth equipped devices and a USB charging port for all smartphones. 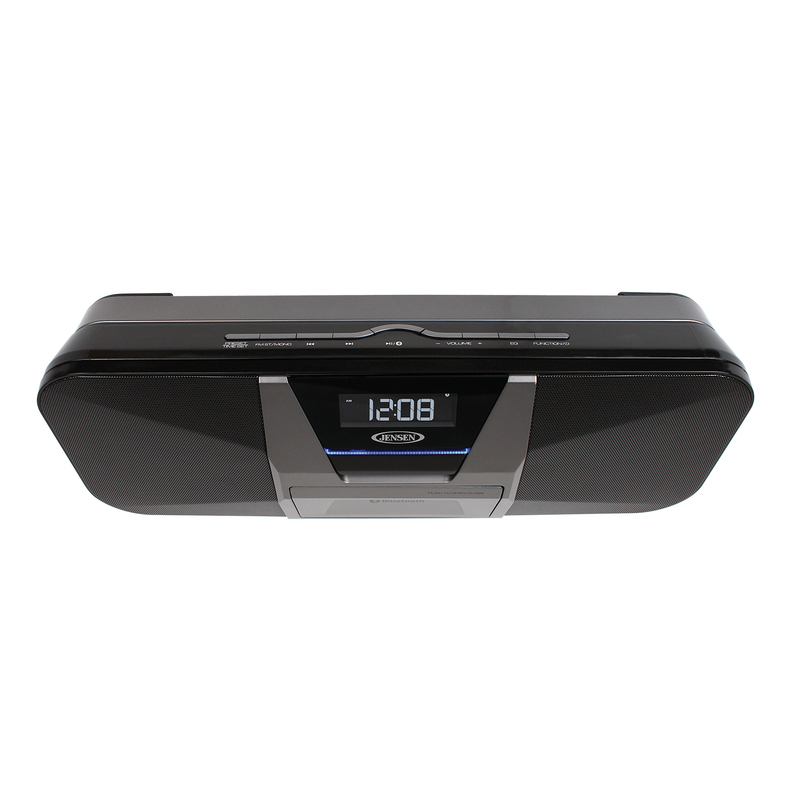 The front of the unit features an LCD clock display with a digital FM receiver. A folding stand and carrying handle compliment the back and truly make this model a standout! 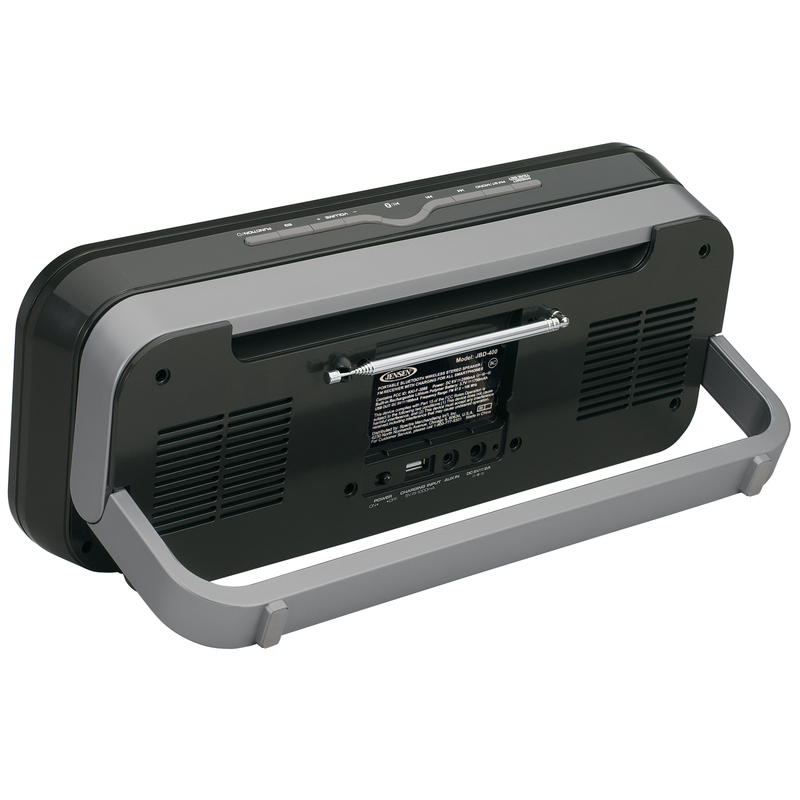 It's powered by a 120V AC adaptor (included).